Today I was coming home in the evening from my regular run. 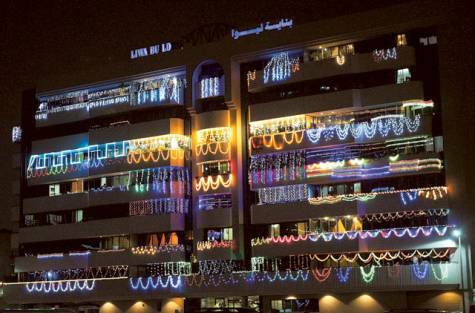 When I was closer to the building of my apartment, I noticed that there are houses decorated with LED electronic lamp strings. (Deepmala). It was a pleasant site to look around. These lights and lamps around was telling everyone that ‘Festival of Lights’is just around the corner. Straight away I was teleported to my childhood. Just few days before my friend said that after we grow up our memory card gets full with childhood memories and do not store any further details. I know, now why I get teleported to my childhood. Anyways, this is a different topic. I could feel the cold weather which is there closer to the festival, the mist and that little fog. It is the time when crops of ‘Field Beans’ (पावटा ) and other crops are ready for cutting. That fragrance is just beyond description. Every household is busy with cleaning the house, preparing sweets for the festival. Kids are excited a this is the time when they have long holidays to mark Semester end at schools. Fort made from mud and stones. 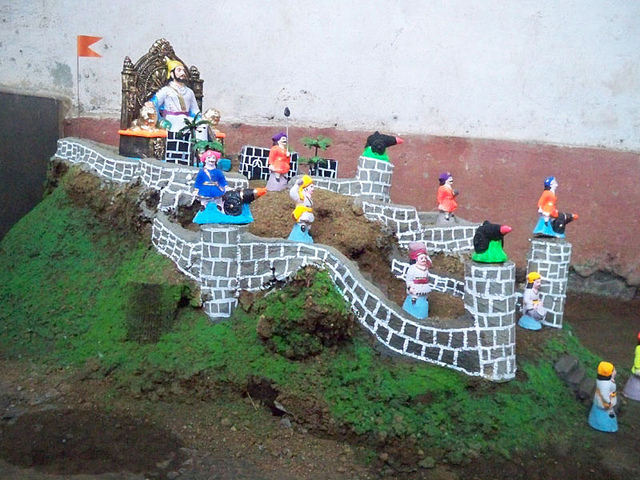 While elders are busy with cleaning homes and shops, kids are busy making forts from mud and decorate them with soldiers and kings. Also some herbs are planted alongside to have some greenery around the fort. This is the time of the year when we used to get new clothes. Now-a-days we buy new clothes whenever we wish for. But when we were kids it was once an year occasion. We kids were also excited for crackers. (Yes, we were excited…) We used to make a wish-list of what type of crackers we would like to have and what will be the quantity. This festival is celebrated for around 3 to 4 days. Therefore, we used to calculate what we need and how much we will burst each day. Then one day we will go to market to buy them. For next couple of days we will put them in sunlight so that there will be no moisture in the crackers and they will burst loudly. Mother will be busy with making different types of delicacies, some sweets, some salty. She will be making one item each day after days routine chores are done. Though we were not able to help much in the making, we will still sit next to her so that after she finishes her cooking and offers some to God, we will get to taste some. Of course, the word ‘Calories’ was not in our dictionary. Then came the actual days of celebration. Home was decorated with lantern and Rangoli (decorations and patterns made with white powder). Different Puja will be performed everyday. There will be mix fragrance of incense stick, flowers and crackers, in air. 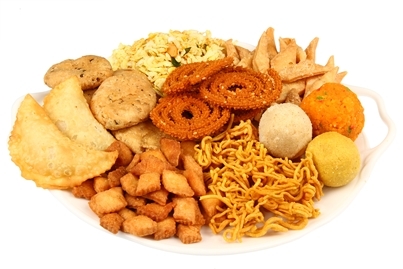 We will invite all our friends for some snacks and we will also visit their places for the same. It was not only a festival for only 5 days but it was like a month long celebration. Beep-beep, beep-beep… Ohh! traffic light turn green. It’s time to return back to the moment. 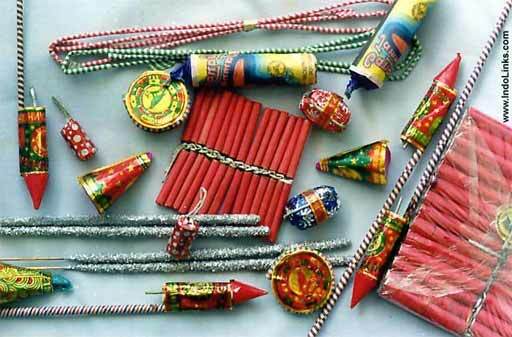 This entry was posted in This is Home and tagged ChildhoodMemories, Diwali, Memories, ThoseGoldenDays. Bookmark the permalink.